AWARDED FEMALE STUDENTS ENROLLED HALF-TIME TO FULL-TIME IN A PROGRAM LEADING TO A BACHELOR’S DEGREE OR HIGHER IN AN AVIATION-RELATED COURSE OF STUDY. EACH SCHOLARSHIP WILL INCLUDE A SUMMER INTERNSHIP AT RAYTHEON. Applicant must be accepted or enrolled in an accredited college or university and planning to continue the following year. Coursework leads to a bachelor's degree or advanced degree (excluding Hartl scholarship). Attendance is equal to at least half-time (6 semester hours or the equivalent). Must have a minimum of 30 semester or 45 quarter hours still to be completed before graduation. All candidates must answer questions I and II under Leadership section. Candidates must submit an essay as per instructions under Leadership III. 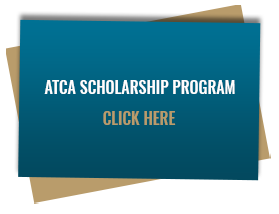 Two references to provide letters of recommendation in support of the application for the ATCA Scholarship Program. You may select anyone from your community who you believe can best address your strength of personal character and your commitment to volunteer service. Official transcripts of all college coursework. If you are a high school student or have completed less than 30 semester or 45 quarter hours, also send high school transcript(s). assistance outside of family support. Provide source and amount of support. Other financial aid * I am not receiving support from a financial assistance program or scholarship or grant. LEADERSHIP: Please respond to questions I, II, III. List up to, but no more than, five of the most significant service activities in which you have participated. Limit your response for each section of the chart to one or two sentences. For each listing, include the service activity, Your role, Your responsibilities, years of involvement, and hours spent on the project. Describe one of the projects listed in Question I that highlights your leadership skills, including your ability to initiate and implement a service project/activity. Please limit your response to 300 words. Required for Hartl, Fortier and Full-time employee scholarship applicants only. Please limit your essay to 500 words or less. How do you see your career unfolding? Focus your response on how your education will enhance your potential contribution to aviation. Required for Raytheon scholarship applicants only. Please limit your essay to 500 words or less. Required for Buckingham scholarship applicants only. Please limit your essay to 500 words or less. Focus your response on how you will blend your career with community service in your adult life. Applicant’s name, organization, mailing address, phone number, email address, name of the award person is being nominated for, point of contact if Applicant is selected for an award (include mailing address, email address and phone number), and other pertinent data. For group/business awards, list names of the principal participants in the group/business. Any significant and appropriate extra-curricular activities or organizations in which the Applicant has participated.